Poultry producers in Bosnia and Herzegovina (BiH) are waiting for the good news from European Commission as several media in the country reported that in the incoming days the EU will open its doors to chicken meat from BiH. Reports said that the BiH Veterinary Office has received note to select companies that will start to export chicken meat on the EU market. Unofficially, there are about ten companies that fulfill all conditions for the export. The EU inspectorate visited BiH a few months ago to review the situation and to prepare a report on this issue that open possibilities for new working positions and prosperity of a large number of families. The report, according to reports from the media, is positive bar one recommendation, which was accepted by the Veterinary Office. It is concerned with the inspection of the meat immediately after the slaughter. Biznis Info presented a review of the largest companies in BiH in this industry, according to the latest available data for 2017 from the Bisnode BH base. 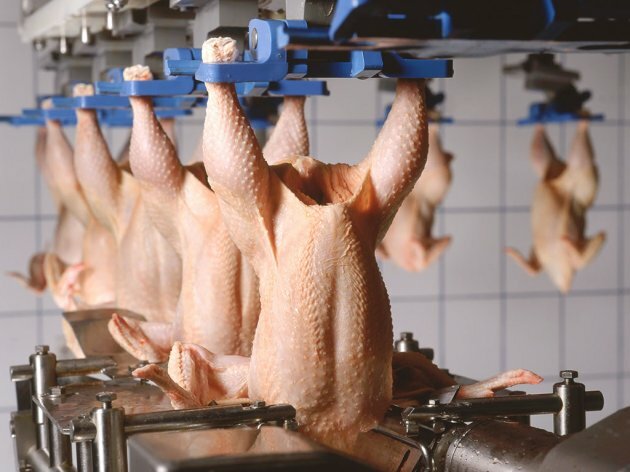 The largest group in BiH dealing with the production of chicken is the Akova Group. In 2017, AkovaImpex had a total revenue of BAM 139.5 million (about EUR 69.8 million). Brovis Visoko recorded total revenues of BAM 107.5 million or about EUR 53.7 million and Ovako Company Sarajevo BAM 35 million or about EUR 17.5 million. These three companies are part of the Akova Group. Madi Tešanj recorded revenues of BAM 125.4 million (about EUR 62.7 million) in 2017 and is one of the leading companies in this field in BiH. Right after the news on the approval of chicken meat exports from BiH to the EU, Madi announced the creation of new jobs. Slovenian Perutnina Ptuj is one of the largest chicken producers in BiH. In Breza, Perutnina Ptuj had revenues of BAM 62.2 million (about EUR 31.1 million), while Perutnina Ptuj Srbac had BAM 41.6 million (or about EUR 20.8 million). Among those companies, which are top candidates for export on the EU market, are also Argeta Sarajevo, owned by Droga Kolinska and Agrex, from Donji Žabar. Bosnia and Herzegovina has a developed poultry industry, especially in the northern part of the country. The lack of exports to EU market has made it difficult for producers who expect the big news. In 2017, the export value of poultry products amounted to BAM 55.5 million (about EUR 22.5 million), a 5% hike from last year, while imports amounted to BAM 34 million (or about EUR 17 million), one million more than 2016. All eyes were turned to Brussels almost two years ago, but the license for the export did not come.